Do you write SAS® programs, search support.sas.com or SAS® papers for SAS® answers? Do you want a better way to program and manage information on websites? You may want to use 'Control+F' to search for your question on SAS Savvy membership plans and benefits. Contact Us If your question is not listed below, then just e-mail (Sunil@SASSavvy.com), us for a prompt and personal reply. Contact us for questions how SAS Savvy can help you grow in your SAS field. Fill out our feedback form and contact us for more information. Are there video tutorials to help me learn how to use SAS® Savvy? Yes, see how easy it is to get started making smarter SAS searches with the how-to videos. SAS Savvy uses all styles to improve your learning: visual, auditory and kinesthetic. While the training is mostly online, I provide email support generally within 48 hours. What is the return on investment for a SAS® Savvy Annual Premium membership? At $50/hr, for example, your return on investment is within the first two hours. This does not include accessing five SAS® e-Guides valued at $25 min each for a total value of $190 min. In addition, the $50/hr does not include the twelve live SAS training sessions valued at $65 each for a total value of $780/year. Your company may reimburse you for the membership fee. Can I copy and apply SAS® examples from SAS® Savvy? Yes, just cut and paste the SAS code from the topic page or SAS® e-Guide to your SAS® program. I do not have a copy of SAS® Software. How can I access SAS® to learn SAS®Programming? You can access SAS over the web by downloading for free the new SAS University edition. There are five free products in the SAS University edition: BASE, STATS, SAS STUDIO, ACCESS and IML. You can also download, for free, the SAS Universal Viewer to view datasets. See SAS paper on step by step details on how to start learning SAS now. As a SAS® Savvy Premium/University Student member, can I participate in the live monthly training sessions to get my technical questions answered? Yes, SAS® Savvy Premium members are automatically part of the SAS® Savvy Mentor Program. 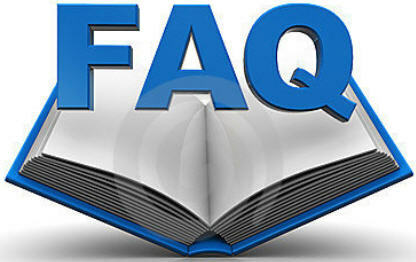 If you can not locate the answer to your SAS® question, then I will assist you in finding a SAS® solution. I recently upgraded to SAS® Savvy Premium/University Student member. Can I access previous SAS® Savvy training sessions? Yes, each live monthly training session is recorded on video for on-demand viewing. Each training session is labeled in order presented. Do I qualify for any special discounts? Yes, special discount SAS® Savvy Annual Premium membership rates exist for current or recent college graduates, American Statistical Association (ASA) members and SAS® programmers actively searching for SAS® positions. SAS programmers looking for a career change or are unemployed also qualify for the special discounts. In addition corporate discount accounts are also available. College teachers who teach SAS or research related topics and share SAS Savvy with their students can get a free account. Your company may reimburse you for the membership fee. Can SAS® Savvy help me prepare for the SAS® Base or Advanced Certification Exam? Yes, specific SAS® Savvy topic pages are recommended to better prepare for the exams. Sharpening Your SAS® Skills course notes and Sharpening Your Advanced SAS Skills course notes are also available for purchase at member discount price. What are the benefits of an online class over a traditional face to face class? There are many benefits of an online class: a. Costs less, b. Flexible schedule to start now and finish when it is right for you, c. No travel needed, d. Free SAS access to run SAS programs, e. Free email and webinar support. Can SAS® Savvy help me prepare for SAS® technical interview? Yes, you can reinforce your knowledge and understanding with simple to advanced SAS® examples. The Compare and Conquer SAS® Programming Techniques topic page, for example, helps to answer the more technically challenging questions. Can SAS Savvy's self study courses better prepare me for technical job interviews in the pharmaceutical industry? - Yes, see quote from one of my students. Does SAS® Savvy have resources to help me program in the pharmaceutical industry? Yes, since my specialty is the pharmaceutical industry, I add relevant CDISC and validation techniques, for example, to help me apply best practices. I have also given many training sessions for the pharmaceutical industry which can be viewed ondemand. Annual Premium members receive free CDISC mentoring. Can SAS® Savvy help me prepare for the SAS® Clinical Trials Certification exam? Yes, specific SAS® Savvy topic pages are recommended to better prepare for the exam. Best Practices in SAS® Statistical Programming for Regulatory Submissions course notes and CDISC Mapping and Strategies course notes is also available for purchase at member discount price. How useful is SAS® Savvy for statisticians? Very useful for accessing SAS® syntax from real-world SAS® examples as well as reference guides to select the appropriate statistical test and SAS® Procedure. Read what your colleagues are saying about SAS® Savvy. What are some of the key benefits of being a SAS® Savvy Premium/Unversity Student member? Participate in the SAS® Savvy Mentor Program, access five SAS® e-Guides and PROC REPORT and PROC TABULATE Galleries. I work in the public sector industry. Is SAS® Savvy still useful for me? Yes, SAS® Savvy's content includes the fundamentals which cross all industries. Read what your colleagues are saying about SAS® Savvy. I am a Senior SAS® programmer with over 10 years of programming experience. Is SAS® Savvy still useful for me? Yes, SAS® Savvy's content includes advanced techniques to solve real-world challenges as well as SAS® tips to develop and test SAS® macro programs for example. Read what your colleagues are saying about SAS® Savvy. How many websites and SAS papers are referenced in SAS® Savvy? As of March 2013, there are at least 1,000 websites and SAS papers, over 200 common SAS Programming FAQ and over 20 SAS® Savvy Mind Maps. I do not live in the United States. Can I still become a SAS® Savvy Member? Yes, SAS® Savvy is available 24/7. To participate in the live monthly training sessions, you will need access to a computer as well as a phone line to call a United States phone number. SAS Savvy members are are international SAS programmers. Are all SAS® Procedures and SAS® Topics referenced in SAS® Savvy? Most of the common general and analytical SAS® Procedures and SAS® Topics are available in SAS® Savvy. I regularly add more SAS® content, so stay tuned. Why was SAS® Savvy created? Since I am a full time SAS® consultant, I needed an on-line resource that contained best practices SAS® examples in one centralized location. I created a primitive version of SAS® Savvy over two years to help me organize over 300 websites. Since then, I have also added more websites, now over 1,000, and content from my SAS® classes to provide continuous support to my clients and SAS® students. Can I submit my favorite SAS® website to be included in SAS® Savvy? Yes, absolutely. SAS® Savvy Premium members may submit their favorite SAS® websites to access anytime. In fact, other SAS® Savvy members can also benefit from these websites. Are only SAS websites referenced in SAS® Savvy? No, along with SAS® websites, visual diagrams, flow charts and summary tables are also included to better reinforce concepts and understanding. Often many of these images are directly from my SAS® course notes. When navigating within SAS® Savvy, am I restricted to linear movements? No, you can start from one SAS® Procedure or SAS® Topic and drill down to more depth or navigate across to a cross-related topic such as ODS or SAS® Enterprise Guide. You are in control to search for the answers to your questions when you have them. Both hierarchical and web layout options offer greater flexibility. Is the information on SAS® Savvy static? No, I constantly make updates based on recent SAS® Global Forums and regional conferences. Each month, you will receive a newsletter with all monthly updates. To get daily notification of SAS® Savvy updates, subscribe to the forum. I am a SAS® Savvy Premium Member, how I can I access the five SAS® e-guides and the on-demand video training sessions? Visit the Savvy Resource topic for SAS® e-guides, on-demand video training sessions, copies of my SAS® workshops and presentations as well as my pharmaceutical articles. Please e-mail me at Sunil@GuptaProgramming.com if you need the passwords for each SAS® e-guide. Does Gupta Programming have a brochure with a list of their services? Yes, along with maintaining SASSavvy.com, other services include SAS consulting and training. See brochure for more information. Can SAS Savvy support your corporation's SAS users? Yes, see how one company supports over 300 SAS users using a similar system built in-house. See study reference on knowledge based systems. Ask about corporate account discounts. See corporate training presentation. Download detail price sheet. Are there benefits to being a Semi-Annual or Annual Premium SAS® Savvy member? Yes, they receive $60 worth of products (SAS e-guides) at no additional cost. Can I test drive SAS Savvy? Yes, try making smarter SAS® searches now: Mind Maps, Sample New to SAS® Programming and SAS® Macro Programming Search. How good are your SAS® Skills? Want to improve your skills with free SAS training and tech support? Download Q&A slides to confirm.